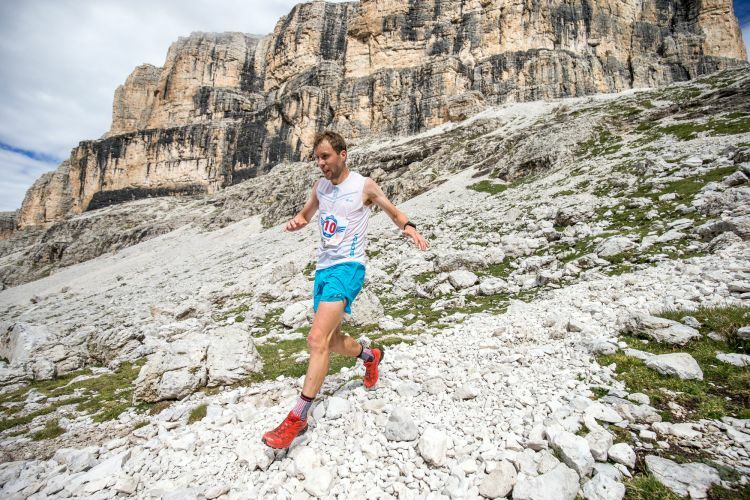 It’s a hard task to describe Diego, leader and soul of the Dolomites Skyrace, always coming out with new ideas, creating new projects. All those who knew him well, still remember him as a child running all around in town with a bob cut of red hair that distinguished him from the other kids. A boy curious about everything, fearless and reluctant to rules. School? An optional. Iris, his mum, used to help him patiently with his homework that he was impatient to finish because he had so many other things to do such as riding his bike, in the hard mountain winters, wearing almost nothing to protect himself against the cold. Growing, his interests were widening too, together with his passion for sports especially for those that he liked most such as motocross, climbing, running and travelling around the world. And deeper was getting his love for the mountain, for “his” Pordoi, for the Val Lasties that he used to go through in all the possible ways, walking, by bike, by motorbike or skiing during the winter season. A real love for the mountain, lived without ostentation and as a deep inner passion. This is how he was: simple and focused, direct to the point. Synthesis was his goal. 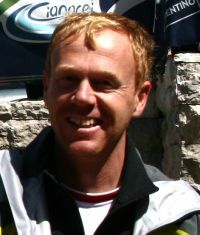 When he attended primary schools, he became popular for a concise text about skiing. The title was “I get ready for a day skiing": he wrote only ten words, all enlisted and numbered and the last two points were: 9) Skis on – 10) Let’s go! The essence of everything for him was to do and not just to talk about it. Daniela, his sister knows it perfectly well. And he succeeded in involving all the people around him thanks to his joy, exuberance and politeness. Following his father’s footsteps, he grew as administrator in the local lift company, one of the most important of the valley and of the whole region, but still bearing in mind all his sporting passions and projects. He was really happy and totally fulfilled, together with his girlfriend Anita who shared his passions and interests and supported him in all the possible ways. He loved his friends too, with whom he used to spend a lot of time and he loved life that he thought was worth living at best, intensively with no retreats and no reserves. But one night, he didn’t come back home, leaving his ideals, his sporting events and his projects as an heritage to be carried on through the years.. but most of all leaving us in sadness. This is what Diego has been to us.. a blowing wind, a ray of sun.